Organizations rely heavily on software applications to lessen workload, increase productivity, and reduce errors. ERP or software training helps employees utilize the ERP system to the maximum extent. For this, providing performance support is as important as formal training. Performance support will help employees become more efficient at using the software by offering invaluable support, right at the point of need. Job-aids are excellent performance support tools that act as a repository of information, supporting individuals in their day-to-day activities at work. 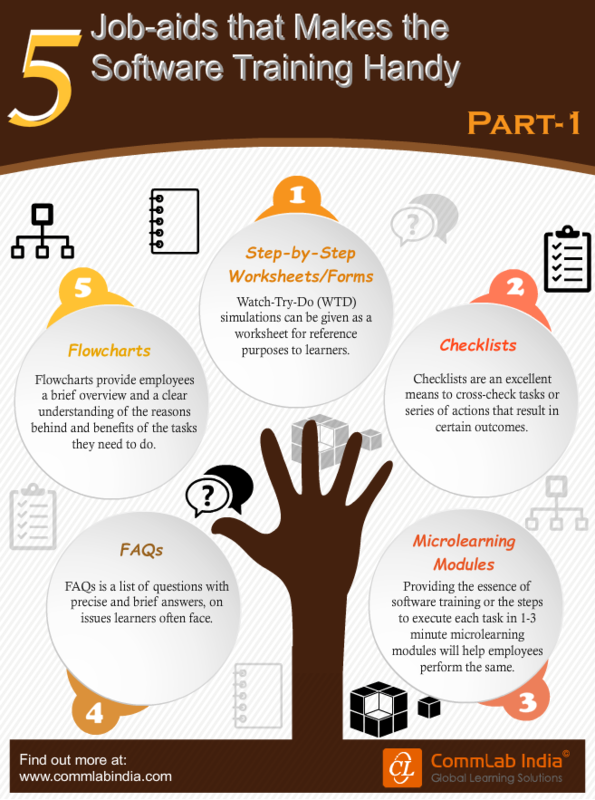 Here is an infographic that lists 5 job-aids that make software training handy. Use them to strengthen your software training programs.